How Revolutionary was the Myers Briggs Type Indicator? Personality testing in itself is profusely controversial - some people love it, while others hate it. 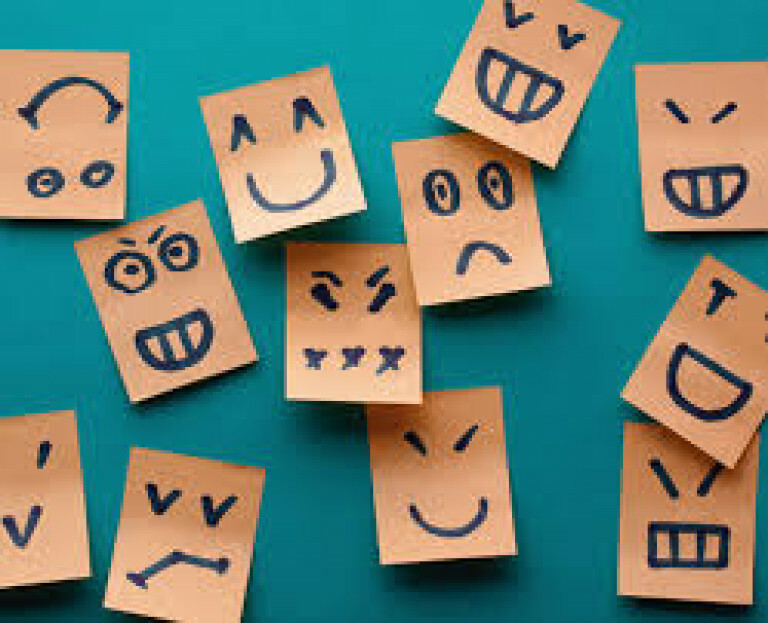 Assessing personality in any context always raises the same questions and concerns about the accuracy, the validity and the reliability of the results, and the fairness of applying these results and categorising individuals based on them. But, what about the seemingly most popular test of them all? 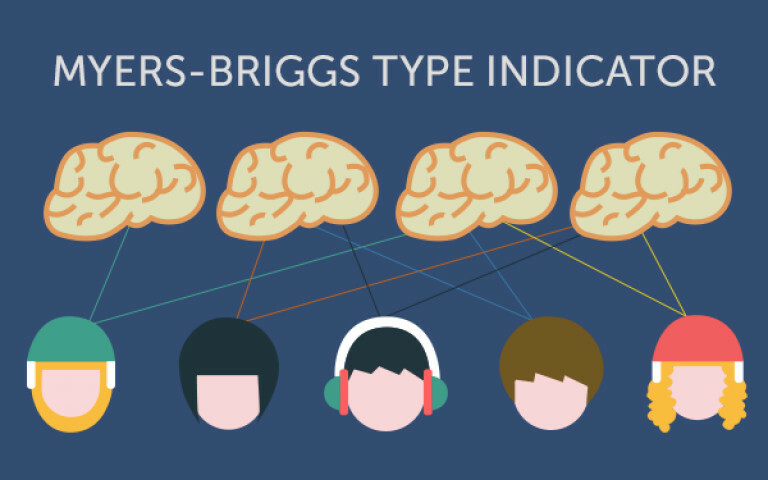 The test used across many contexts; from educational psychology to clinical psychology, from usage in organisational settings to usage in relationship counselling - The Myers Briggs Type Indicator (MBTI). Perhaps the most widely recognised personality assessment, competing closely with the likes of the DiSC assessment or the HEXACO model, the MBTI was first introduced in 1957 by Isobel Briggs and her daughter Katherine Myers. Based on the earlier theory of Carl Jung, the MBTI measures four pairs of opposing preferences, namely: Extraversion (E) or Introversion (I), Sensing (S) or Intuition (N), Feeling (F) or Thinking (T), and finally Judgment (J) or Perception (P). The result is 16 different personality types, for instance 'ENTP' or 'ISNT', that every person uniquely fits into one of. 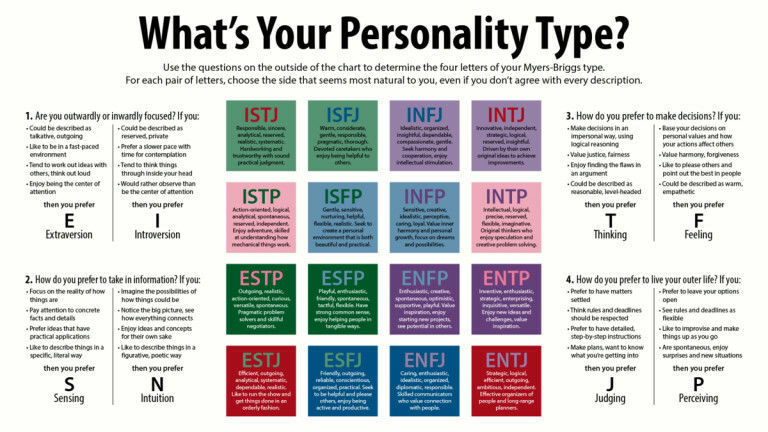 But despite the assesments notorious popularity, the MBTI has raised many concerns throughout the years over the validity and reliability of the assessment - with even the creators of the MBTI voicing some concern. In general, the scientific 'value' of a psychometric assessment is discussed with reference to its reliability and/or its validity. For something to be considered 'reliable' is must be consistent. For instance, if you were to measure the exact same thing at a later date you would expect to get very similar results. The best way to measure the reliability of a questionnaire is through a 'test-retest' method; where something is measured at one point in time and then the same thing is measured at a different point in time, typically a few weeks or months apart. Using the test-retest method, the reliability of the MBTI has been questioned. A popular piece of research has actually found that as many as 50% of the individuals tested using the MBTI got differing results when tested again seven weeks later using the exact same method. There is also a standard error measurement used as a way to measure the reliability of psychometric measures, this measurement basically decides whether the difference between the two scores, obtained at different points in time, is meaningful and whether the difference is trivial. The standard error measurement for the MBTI has been shown to be fairly large, meaning that the difference between test-retest scores using the measure is meaningful. This reliability problem raised using test-retest methods is perhaps due to MBTI classifying people so rigidly. Two people who have raw scores that are close to each other may have different classifications due to the scales cut off point that divides the dimensions. Similarly, is appears that answering one or two questions differently across time may cause a different classification due to the scale using a cut off point to determine an 'absolute classification'. 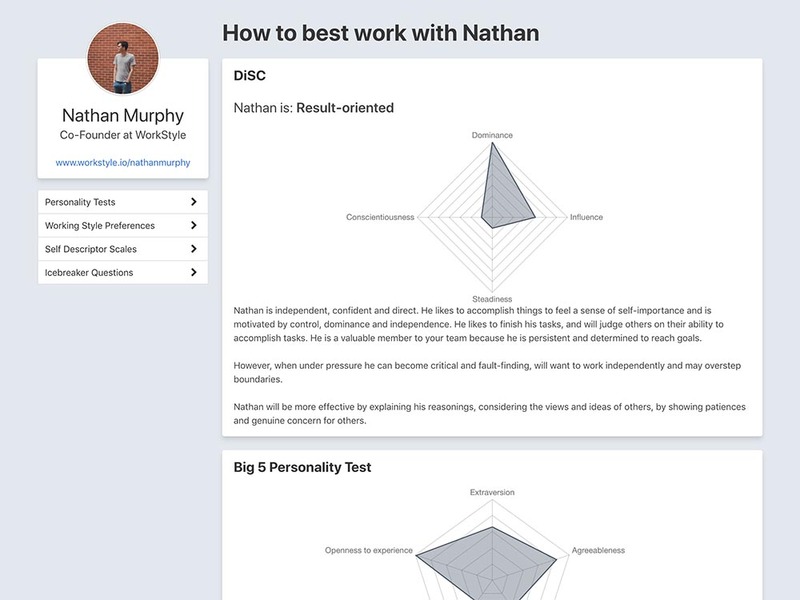 Of course, it is crucial that personality assessments are reliable - especially in the modern day where such an emphasis is being placed on categorising people in terms of their personality characteristics. In some cases, the results from the MBTI can affect a persons chance of being offered a job, or gaining a place on a top work team - so why would a test be considered 'revolutionary', when it isn't even measuring and categorising people consistently? For something to be considered 'valid' is must measure exactly what it is supposed to. So, for example, a valid measure of weight will measure each persons weight correctly, and using the correct measurement unit. Or, in terms of the MBTI - does is actually measure personality, or more specifically, do the questions within the assessment successfully measure each personality dimension outlined by the test? Research looking at the validity of the MBTI has found unsupportive results for the assessment. A factor analysis of a sample of l,29l college aged students showed six different factors were found, not supporting the theory the the MBTI only measures four personality dimensions. The same study also found high levels of measurement error associated with the MBTI. Other studies have also found no support that the MBTI measures four personality preferences, instead is measure four independent dimensions - so therefore, the MBTI is not measuring what it's supposed to. Another way to check the validity of something is so compare it to another thing similar. 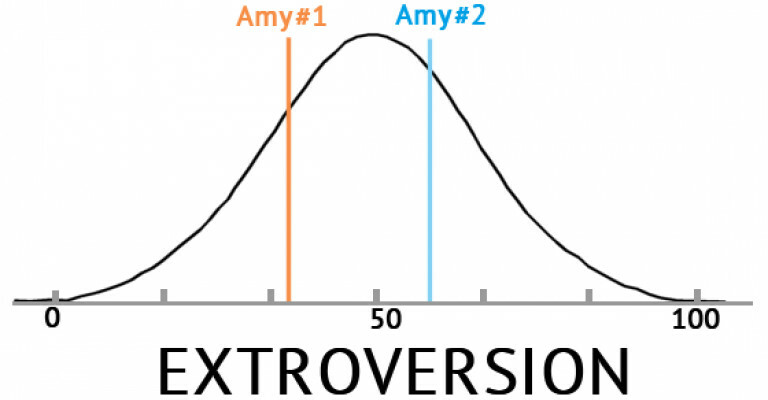 For instance, when comparing the MBTI to the NEO PI-R, a personality inventory that measures the 'Big Five' personality dimensions, is has been [found(https://www.questia.com/library/journal/1P3-449141521/the-relationship-between-the-revised-neo-personality) that there has been a close correlation between all scales on both tests - most importantly, it was found that the extroversion scale of the NEO PI - R correlated with the MBTI's extroversion - introversion preference scale. This does therefore provide support for the validity of the MBTI. Further support for the construct validity of the MBTI has been found in research that showed appropriate factor adequacy and invariance coefficients. There has been some support for the practical validity of the MBTI - especially with reference to it use in organisational settings. Studies have found that when using 360-degree feedback in the workplace, the MBTI is considered a useful tool to aid career development and self-awareness. Also, it has been [http://journals.sagepub.com/doi/abs/10.1177/107179190301000106) to be useful for leadership, but the authors of the study do suggest applying and interpreting the test results with great caution. 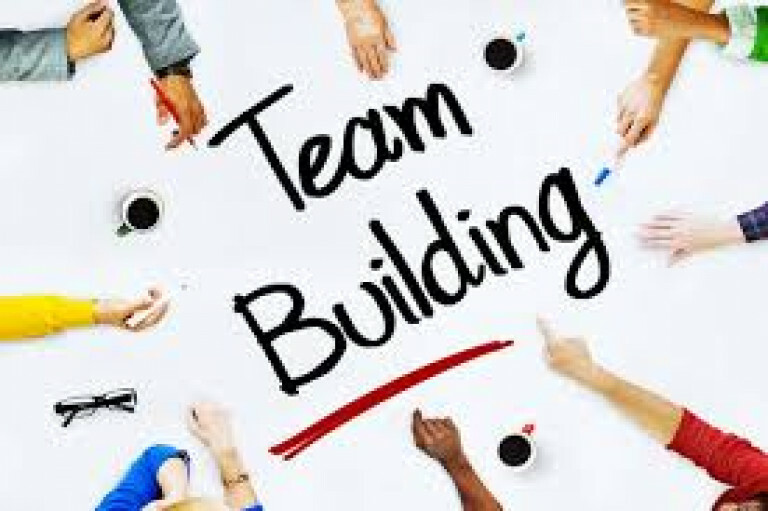 Further evidence has also found that when using the MBTI to measure team performance, personalty composition did effect the team, so thus the MBTI may be useful for predicting teams. Check out my article for more about the dangers of using personality testing in the workplace. Aside from the scientific concerns raised about the MBTI, the inventory has also been criticised in other ways. 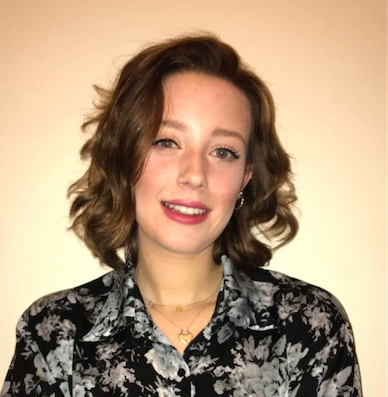 For a start, many find the inventory, and other methods of assessing personality, an 'offence' to individuality as the MBTI is often criticised for forcing people into extremely simplistic categories and ignoring other influencing personality factors. Imagine a fictional scale that measures your weight, and imagine only being able to be categories as either obese or underweight, even though weight is a large scale in which people fit uniquely onto. The results produced from the MBTI do also ignore that human behaviour changes across different situations. I would very much so consider myself an extrovert (and so do many personality tests! ), however I can be frustratingly shy around new people and may therefore act in an introverted manner when interacting with new people. Similarly, people's preference to make discussions using a thinking or feeling preference may change based on how the situation is affecting them. But, the MBTI does only claim to measure average behaviours - the behaviours that individuals show most of the time in normal situations. Overall, the MBTI has both pro's and cons for both general use and organisational use. On one hand, it can aid interviews, communication and job chats, but on the other hand it can lead to biases, is costly and doesn't provide definite answers. The scientific research behind the MBTI also provides mixed reviews about its use across many contexts, and does raise caution as to how the results should be used and applied. Like all assessments, when misused by individuals or by organisations, the test would appear to not be neither exceptionally useful, magnificent or revolutionary in the slightest. However, when used as an indicative tool in organisations, or as a tool that is applied with caution during our own self-relflection or self-assessment, the MBTI could be considered revolutionary, and therefore deserving of its popularity and recognition, in the way it has allowed use to discover ourselves, and in the way that it has allowed others to discover us.